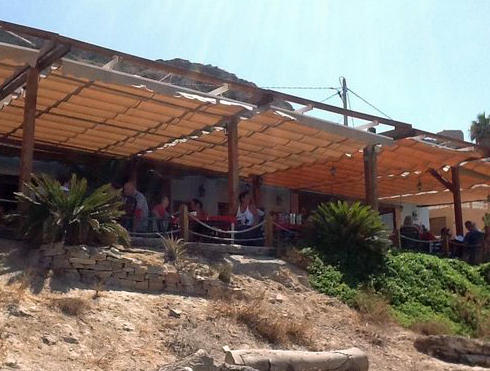 DonQui had one of the best of his Spanish long lunches a short stroll up from the beach at La Azohia. He found himself on a large terrace overlooking a classically curved Mediterranean bay. 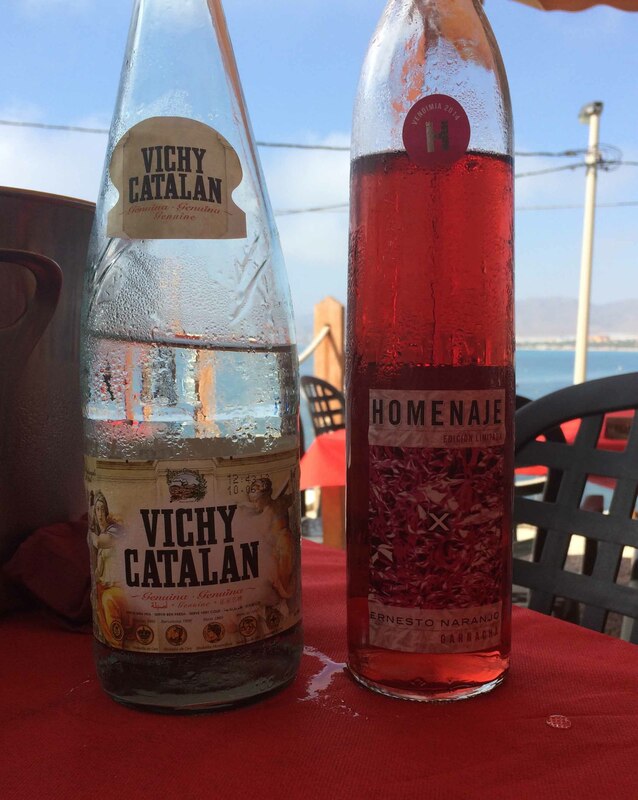 The restaurant — Antipodas — was at the end of the road, literally where the road ran out and the mountains began. This gave the place an exclusive and quietly secluded feel. DonQui looked out over the harbour and contemplated the wine list. There was a good Rioja on offer which after tasting it he deemed far better than average. 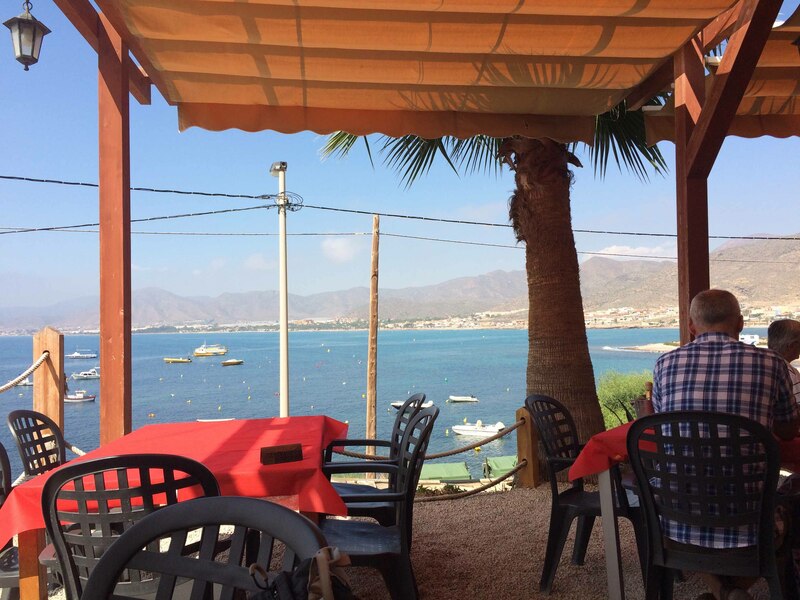 The service was friendly and the place had relaxing a vibe that DonQui thoroughly enjoyed as he settled in for a couple of hours out of the sun. The four course set menu of the day seemed interesting and at €12 it was great value. It was duly ordered and DonQui was delighted. Starting with a crisp fresh salad, the next course was a choice of chickpeas or vegetable soup. Both were very good. Then came a lovely beef stew which was aromatic and tender, with small pieces of meat and potatoes that stirred his senses. Now DonQui is not much of a potato lover but all the potatoes he ate in Spain were so much better than what he was used to. Instead of being floury and mushy they were firm and full of flavour. Duchess had a wonderful local fish — Melva, or frigate mackerel, which is a sort of cross between mackerel and tuna and an Andalusian speciality. It had been marinated in lemon and Duchess declared it was one of the best fish dishes she had ever tasted. The light crepe with soft dark chocolate was a melt in the mouth experience that perfectly rounded off the meal. So intent he was in finishing it off that DonQui forgot to take a photo until it was almost too late. Readers will have to forgive him for a moment of chocolate gluttony. Sipping a café solo and contemplating a stroll back to the beach, DonQui began to think he might just dine at here again. And indeed he did. In fact DonQui visited three times and each day tried the daily menu with varying success. Most courses were truly yummy but there were one or two not quite to his taste. On one visit Duchess went à la carte and decided to try the goat’s cheese salad which she reported to be ‘perfect’. The house wine by the glass was indifferent but there were some very good reds and rosés by the bottle at exceptionally reasonable prices. DonQui did not try any of the whites so cannot venture an opinion on them. 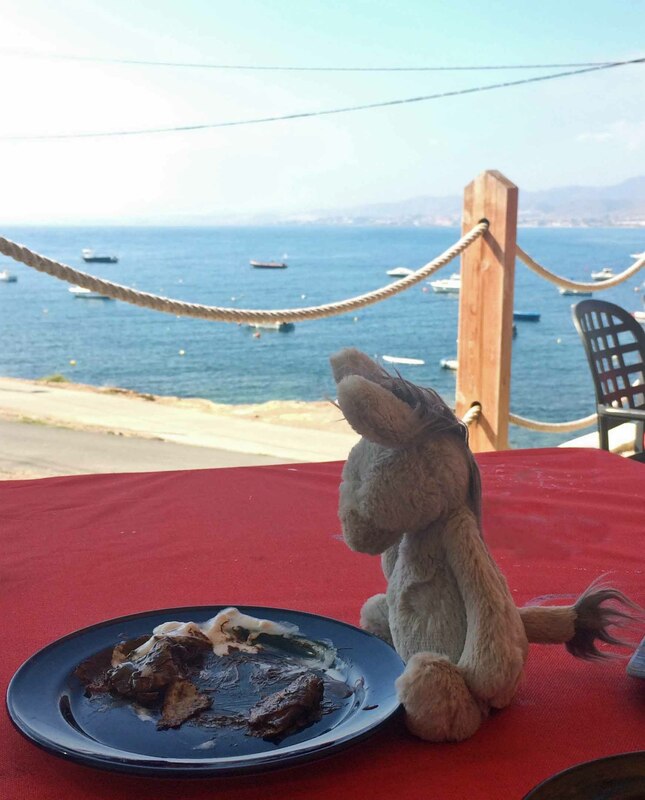 DonQui felt that luncheon at Antipodas made La Azohia a really great place to visit. Next > Best Airport in Britain?